No word in the English language can accurately describe qi (pronounced chee). In popular mythology, qi is synonymous with "energy," a natural or intellectual power that exerts activity. For example, there's solar energy. The sun's rays give light, provide warmth, and help to foster growth. Natural energy resources like oil and gas provide fuel for industry and transportation and heat for our homes. Nutrition affords us physical energy. With sustenance we thrive and feel energetic. Without it, we are drained of our energy. And then, we have electromagnetic energy, one of the fundamental forces of nature, galvanizing and unifying the growth and development of all living forms. 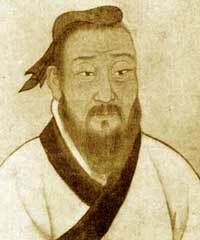 So, is qi a source of energy "discovered" by the ancient Chinese? No, qi is not a mysterious energy. Energy, in all of its various forms, is but an aspect of qi we understand through sensory perception (the five senses of sight, smell, taste, hearing, and touch). Actually, qi underlies energy. Qi is an information field that gives energy its impetus to move and change. In fact, qi is the underlying, holistic, and vital force at the center of all things--hyperspace, the sun, a seashell, your pet, and you. If we describe qi as an energy flow, we deny its metaphysical qualities (since these are not recognizable to sensory reality). Intuition, fate, dreams, and hunches--surely, we agree these things are real, but can we prove their existence? • Qi can be best characterized as "life breath" or "cosmic breath." It is the underlying and unifying, nourishing and vital, physical and meta-physical life force at the center of all things. • Qi is the holistic and underlying vital force and substance of everyone and everything. • Qi is the non-measurable and imperceptible breath permeating, connecting, and uniting the cosmic, earthly, and physical realms. • Qi is physical. It's the life force acupuncturists seek to activate with their needles and the power martial artists channel to split bricks. • Qi is meta-physical. It is your luck, destiny, and fate. It's your intuition, the sixth sense you feel when you're "onto something." The "vibe" you get about a particular person, place, or thing. • Qi is your spirit, your soul. The concept of qi has not always encompassed such a broad range of qualities. Like anything else, it has changed and evolved over time. Unlike Western science's reliance on logic, reason, and direct experimentation to understand nature's truths, the ancient Chinese primarily used intuitive knowledge, looking within nature's patterns of change. The first documentation of the word qi (probably from the Warring States period 403-221 BCE but possibly as early as the late Spring and Autumn period 591-453 BCE) can be found in the Shuo gua zhuan - The Explanation of the Trigrams. 7th Century BCE. The Guanzi, purportedly written by Guan Zhong, (d. 645 BCE) gives qi spiritual attributes. Called "essential qi," it provides man with wisdom and intelligence to be strengthened by moral character and righteous living: When [qi] flows between Heaven and earth, it becomes ghosts and spirits. When [qi] is stored in the body, a person becomes a sage. 6th Century BCE. The Zuozhuan, purportedly written by Zuo Qiuming in 541 BCE, describes six types of Heavenly qi that descend to earth: yin, yang, wind, rain, darkness, and brightness. When an imbalance occurs, the excess is made manifest as one of six types of bodily illness. For instance, an excess of yin can cause low blood pressure, resulting in insufficient blood flow and the feeling of being cold and weak; an excess of yang can cause fever; high winds can cause arthritic conditions. Likewise constant rain can cause stomach conditions; extreme darkness can cause hallucinations; extreme brightness can cause heart disease. 5th Century BCE. As the concept evolved, qi extended beyond the earthly (meteorological) and human (physiological) realms to include the influence of the cosmos. This belief was first recorded in the 431 BCE text called the Zhouyu, assembled by Bo Yangfu, the Grand Historian of the state of Zhou. 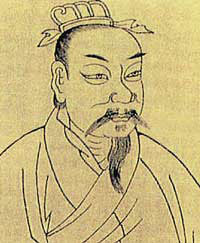 Bo Yangfu relates qi to the downfall of the Zhou dynasty: The qi of Heaven and earth must not lose their proper order. If they extend beyond the proper order, there will be chaos .... There will be an earthquake. In other words, Heaven caused an earthquake to communicate its displeasure with the king. The king's inability to promote harmony and balance within his empire caused chaos and discord, which led to the end of the Zhou dynastic reign. • The Zhuangzi. Written by Zhuang Zhou (356-286 BCE). This great Daoist work informs us that people should keep their form perfect and replenish their spirit to be merged into one with Heaven and earth. • The Lushi Chunqiu. Attributed to Lue Buwei (d. 235 BCE). This text discussed the "preservation of good health." It offers this advice: Qi should be made to flow constantly within the body ... [and] with essential qi renewed daily, the vicious qi will go and a full life span will be reached; this is called truth. • The Huainanzi. Compiled by Liu An, King of Huainan (d. 122 BCE). This encyclopedic work explains the origin of qi. It says that the universe was a shapeless void filled with original qi. The interaction of its positive (yang) and negative (yin) forces produced life as we know it. Of course, these are not the only texts that describe the nature of qi. Many others exist which are equally important and interesting. For example, consider the Book of Burial or Zangshu. Attributed to Guo Pu (CE 276-324), this manual explains how to locate auspicious sites for burial of the dead. It's all about locating the "dragon's lair," the common point on the geophysical plane where qi intersects. Also, there's the Neijing, The Yellow Emperor's Classic of Internal Medicine. Written by scholars in the 2nd or 3rd century BCE, the Neijing summarizes the theoretical and practical knowledge of medical practitioners. By the time the "Ten Wings" commentaries were attached to what is now known as the Yijing (I Ching or Book of Changes) the concept of qi was transformed into an all-encompassing vital force at the heart and development of all things. The Dazhuan (Great Commentary) [circa 300 BCE] explains it like this: "The essence and qi combine to form living things; the wandering spirit [qi] causing change [between life and death]." This passage suggests a living person is able to communicate with the spirit of the deceased because of and through the common binding component of spirit qi. The deceased uses the commonality to manipulate the stalks of yarrow or coins used as divinatory tools to help guide the diviner. • Qi is the underlying and unifying, nourishing and vital, physical and metaphysical life breath at the heart and development of all things. • Qi is not unique to the Chinese. It is known by cultures worldwide. • Many Western physicians believe electromagnetic energy is the holistic and vital force governing the body and environment. This is actually misleading because qi underlies energy. Electromagnetism only describes an aspect of qi. • Acupuncture corrects imbalances of qi within your body. Acupuncture considers how your emotions affect your health. ^ This entry, with the approval of its authors, was reprinted from The Complete Idiot Guide to the I Ching; by permission of Alpha Books, an imprint of DK, a division of Penguin Random House LLC; Copyright © 2002 Elizabeth Moran and Master Joseph Yu. Slight changes were made to fit the stylistic requirements of Qi Encyclopedia. 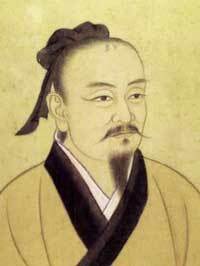 ^ According to the book Confucianism, Buddhism, Daoism, Christianity and Chinese Culture, by Tang yi-jie.